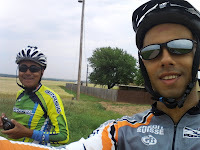 This day we had planned to ride about eighty miles to Elk City. We left the hotel quiet late and the winds were against us. The first twenty miles were very, very difficult. It took us five hours to cover these twenty miles. 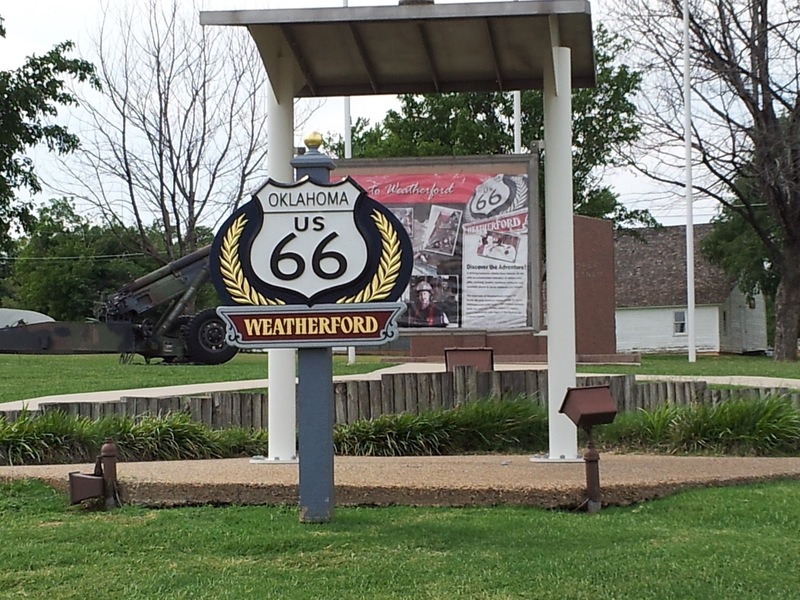 When we arrived to Weatherford, which was the first city in our way, I had no water anymore. 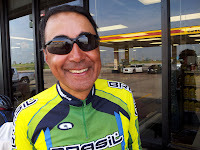 I was so thirsty we had to stop in the first gas station to refill our bottles before looking for a place to eat. Thankfully there was a Subway nearby, so we went there and had a nice lunch. Once we got out the winds had weakened and we were able to move forward a little faster. The road was good so the only barrier were the winds. 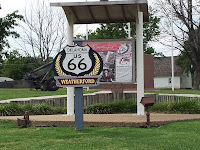 Once we arrived in Clinton, which was the next city in our way, we passed by a nice Route 66 museum and took a few pictures. That was a larger city with everything we needed: hotels, supermarkets, and, of course, a Subway restaurant. On our way out of the city we found out my back tire was flat, again. We stopped at a Taco Bell’s parking lot and started fixing it. 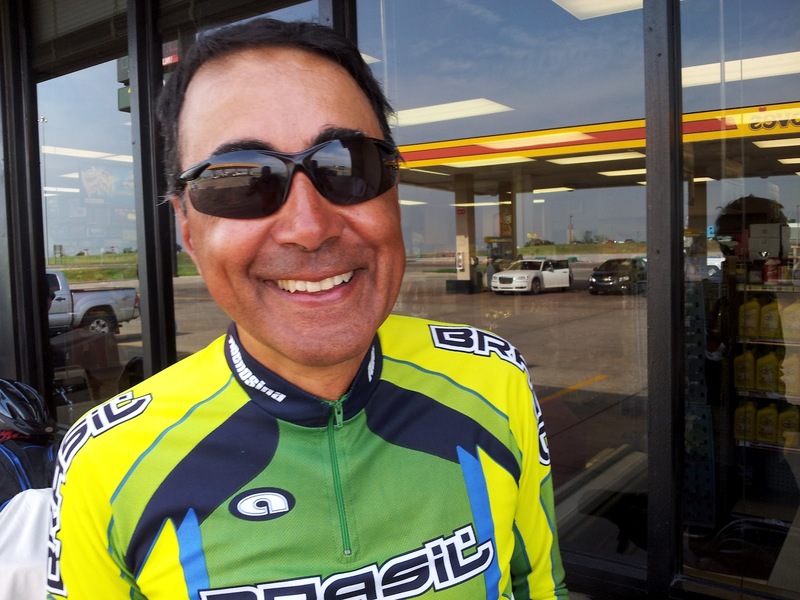 The whole thing took about thirty minutes, and as soon as we finished we were on our way to Elk City. However, a few miles ahead the road my uncle got concerned about moving forward to our planned destination because the sun was about to set, so we decided to stay in Clinton despite the fact we had progressed just 40 miles. We got our dinners at Subway and an extra sandwich for the next day’s breakfast, and then headed to the hotel. 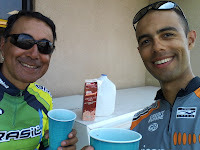 Although we had progressed just 40 miles this was a very hard day due to the strong winds holding us back. During dinner we were talking about this and were both wondering what the next day would bring us.